The objective of this lab is to investigate and prove Snell's Law of light refraction. 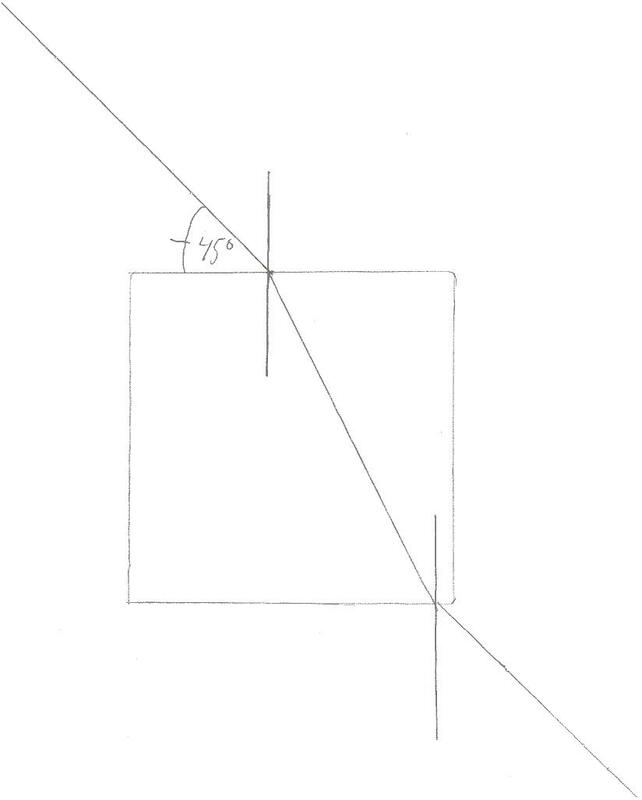 1) Trace the rectangular prism in the center in the center of a piece of paper. 2) Line 2 Pins up above the prism so that they form a line with a 45o intersection with the top of the prism. 3) Observe the prism from the other side and place a third pin where the two opposite pins appear to line up. 4) Place a fourth pin in line with the other three pins so that all four pins appear to line up. 5) Remove the prism and draw the lines for pins 1 and 2, and the lines for pins 3, and 4. 6) Record the points that they intersect the prism and draw the normals. 7) Connect the normals by drawing a line between them. 8) Determine the intersecting angle of each line including the angle between the normal and the intersecting line between the two normals. 9) Repeat steps 1 - 8 using an angle less than 45o. 10) Repeat steps 1 - 8 using an angle greater than 45o. 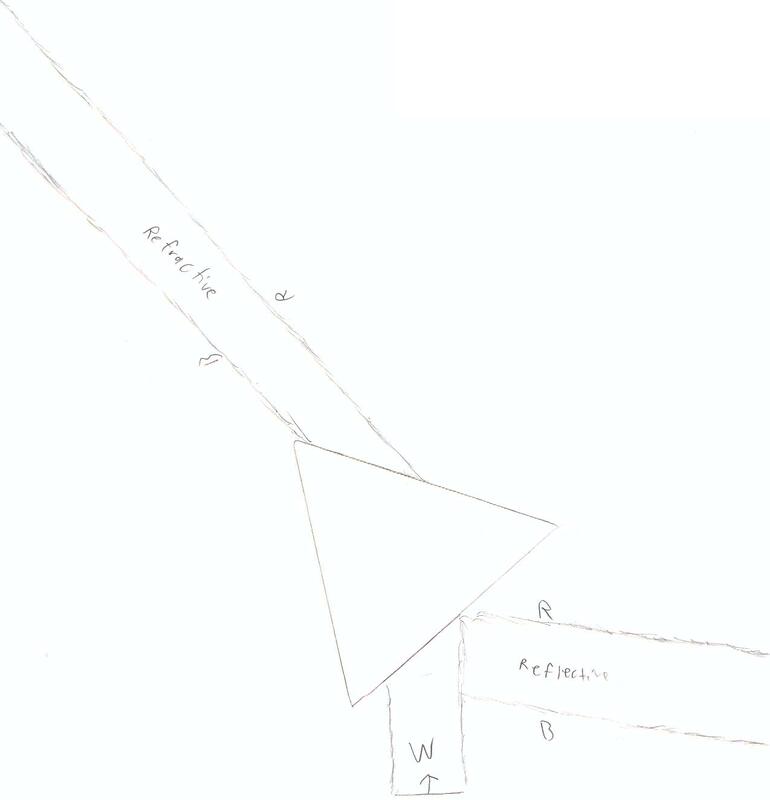 1) Orient the Triangular prism so that it produces a spectrum on a piece of paper. 2) Record the spectrum produced. 3) Produce a diagram illustrating the orientation and produced spectrum. 1)	Q:	Explain the difference between reflection and refraction. A:	Reflection is when the angle of incidence is greater than 45o and the image is sent back through the surface. Additionally the image is inverted. 2)	Q:	Explain why refraction occurs. A:	Refraction occurs because light, a wave, enter a different medium and it's velocity changes, causing the individual waves to bend creating a false - positive image, an optical illusion. 3)	Q:	Explain total internal reflection. A:	Total internal reflection occurs when the angle of incidence exceeds 45o. In this case, the image is not viewable at the other end, instead it is completely reflected, inverted, and viewable on the same surface that the original image is seen on. This principle is the same that enables optical communications. 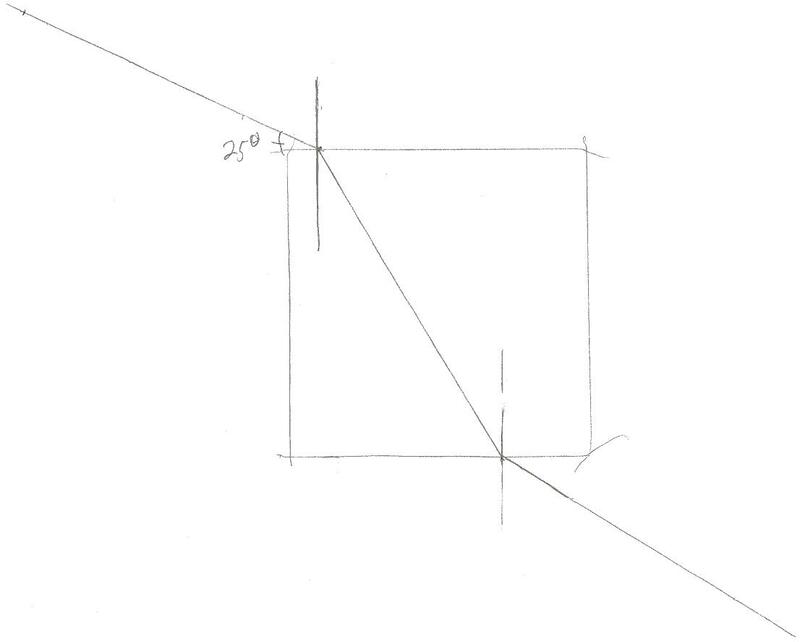 5)	Q:	Use Snell's Law to compute the average refractive index of the rectangular glass prism. 6)	Q:	Compute the offset of each of the results. 7)	Q:	Compute the error for each trial. This lab has demonstrated that Snell's Law is applicable in predicting light diffraction through a medium. The accuracy of this lab is mostly high, and the readings were taken well. Most of the error incurred in the lab resulted from problems with stereo vision, and perspective. Additionally, the error from the 65o angle readings was a result of the refraction angle being too large and the image barely being able to appear on the other side, as well as fit on the prism. Overall I am satisfied with this lab.